I must confess I have a Strawberry obsession. Every time I spot those beautiful blushing red little poppers, I just couldn’t contain myself. After years of searching for my dream strawberry…my dream finally came true in Japan. Japan, known for their dedication in excellence (especially in food), has a high end luxury fruit industry. 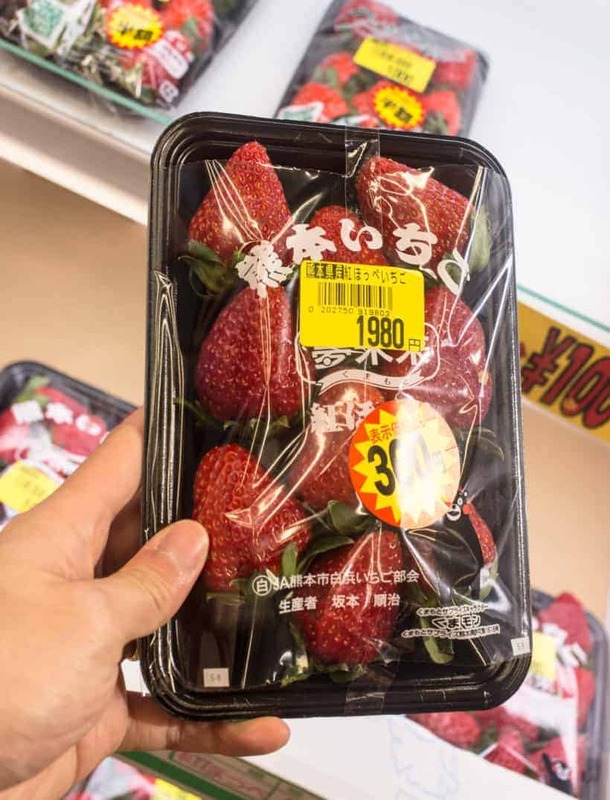 Did you know one strawberry can worth as much as 50,000 yen ($445 USD)?!!! Luckily ours didn’t cost nearly as much. But I know I would lose sleep over these strawberries if I don’t try it. So we did. Oh my!! The balance of sweetness with a slight mix of tartness, bursting with strawberry juicy flavors and sweet-smelling aroma. I was totally mind-blown and yelled at Jacky with excited eyes – This! This is it!! This is THE strawberry I’ve been looking for! They were the juiciest, sweetest, most flavorful strawberries we have ever tasted. And mind you, these aren’t even the best in Japan. 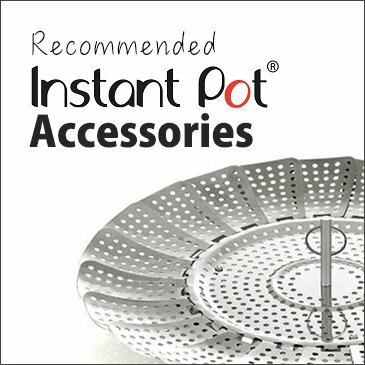 Oh~ how I wish I can pop these everyday and make our Instant Pot Strawberry Compote with them!! 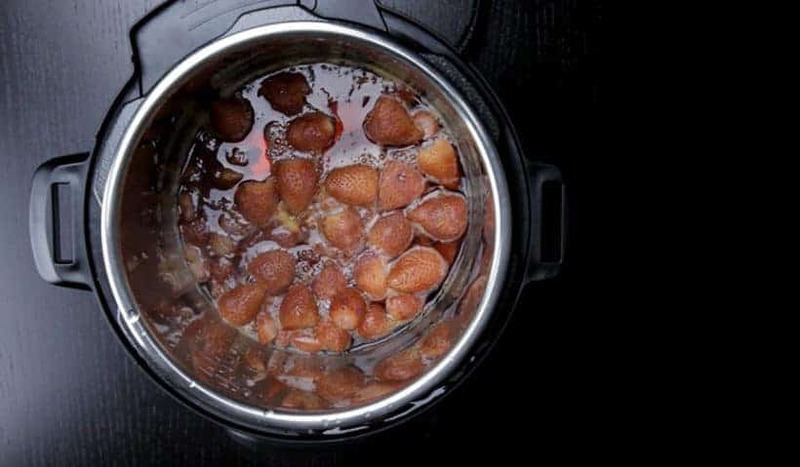 Rinse 1lb (454g) strawberries under cold running water. Trim off the stem with a paring knife. Roughly chop a few for different texture if desired. 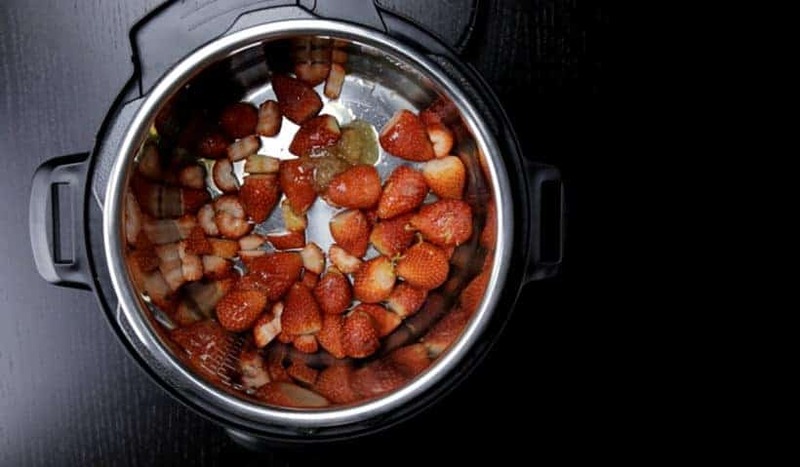 If desired, reserve 8 strawberries (for extra texture), then place remaining strawberries in Instant Pot. 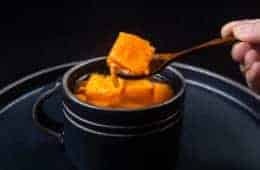 Add 1 tsp (2g) lemon zest, 1 tsp (5ml) vanilla extract, 2 tbsp (30g) honey, a pinch of salt, and 27ml (~2 tbsp) freshly squeezed lemon juice in the Instant Pot. *Note: The floating valve (metal pin) will drop at around the 7 – 8 minutes mark. Don’t open the lid until the full 10 minutes is over. 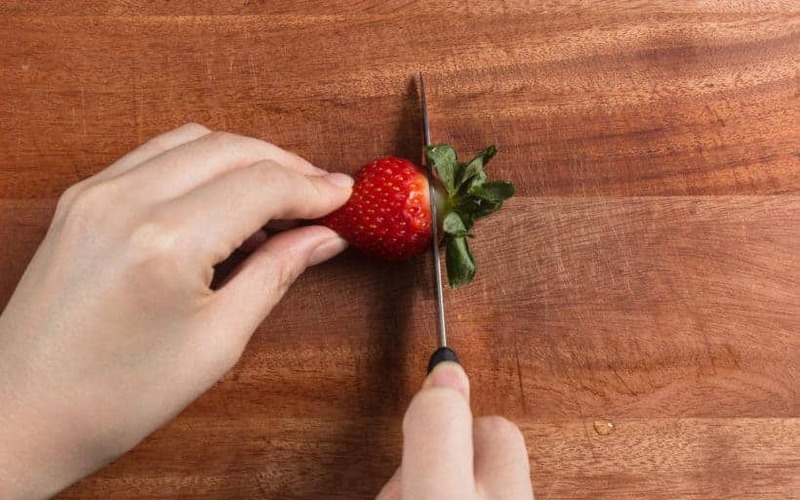 Stir and break the strawberries with a wooden spoon. Taste the sweetness and add in roughly 2 – 4 tbsp white sugar (stir and taste after every tablespoon). Stir a few times to thicken the strawberry compote. Taste and add more sugar if desired. 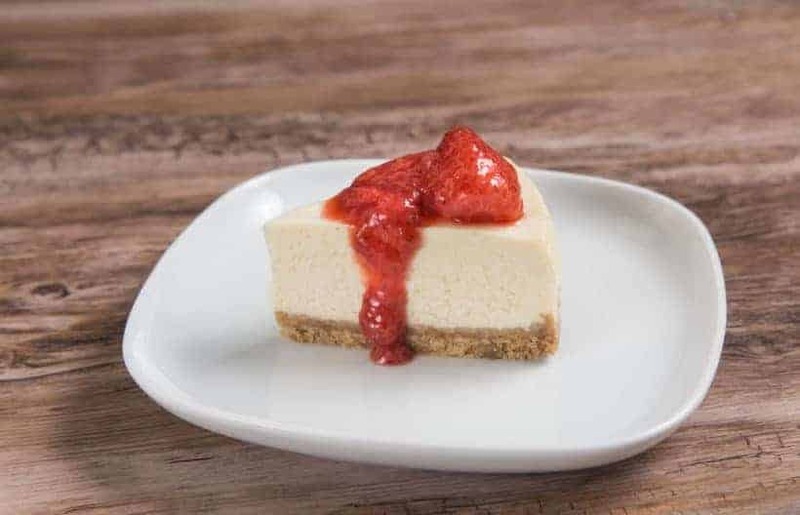 *Pro Tip: when the strawberry sauce turns glossy, it’s a hint it’s done. If it looks a bit thinner than your desired consistency, keep in mind that it’ll further thicken as it cools. 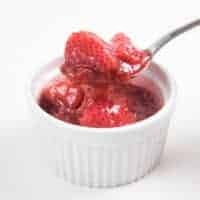 Remove strawberry compote from Instant Pot to chill. The strawberry compote will thicken as it cools down. 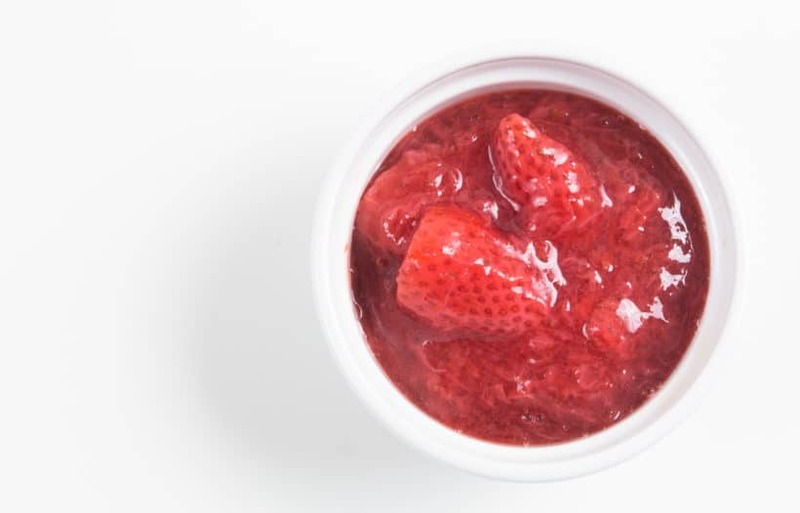 *Storage Tip: Homemade strawberry compote can be store in the fridge for 10 – 12 days. Wash Strawberries: Rinse 1lb (454g) strawberries under cold running water. Trim off the stem with a paring knife. Roughly chop a few for different texture if desired. 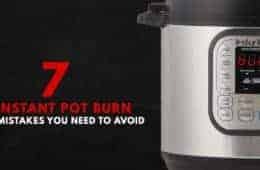 Pressure Cook Strawberries: If desired, reserve 8 strawberries (for extra texture), then place remaining strawberries in Instant Pot. 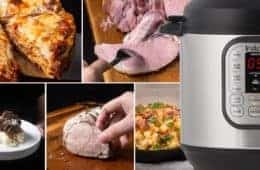 Add 1 tsp (2g) lemon zest, 1 tsp (5ml) vanilla extract, 2 tbsp (30g) honey, a pinch of salt, and 27ml (~2 tbsp) freshly squeezed lemon juice in the Instant Pot.Close lid and pressure cook at High Pressure for 1 minute, then 10 minutes Natural Release. The floating valve (metal pin) will drop at around the 7 – 8 minutes mark. Don’t open the lid until the full 10 minutes is over. Open the lid carefully. 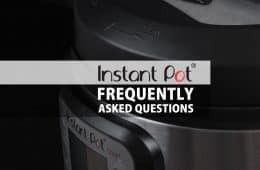 Make Strawberry Compote: Turn heat to medium (Instant Pot: click Cancel button, then Sauté button). Stir and break the strawberries with a wooden spoon. Add in remaining strawberries. Taste the sweetness and add in roughly 2 - 4 tbsp white sugar (stir and taste after every tablespoon). Stir a few times to thicken the strawberry compote. Taste and add more sugar if desired. 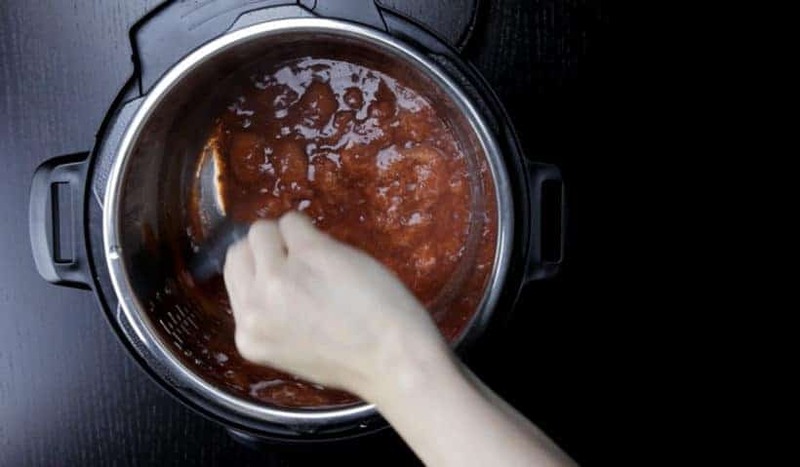 Chill & Store: The strawberry compote will thicken as it cools down. Homemade strawberry compote can be store in the fridge for 10 - 12 days. 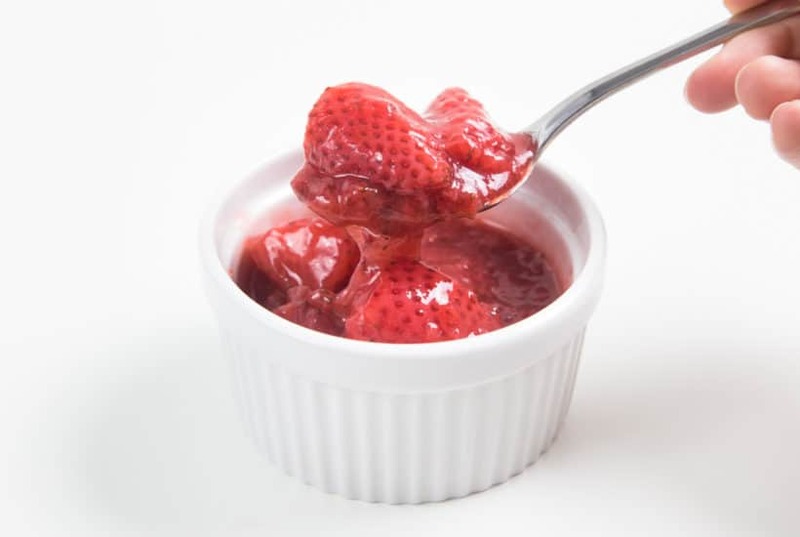 Cook Strawberry Compote: In a saucepan, add strawberries, lemon zest, lemon juice, salt, honey, vanilla extract. Cook over medium low heat until strawberry is soften. Stir with a wooden spoon occasionally. Sweeten: Once the strawberry compote is glossy, taste and sweeten with white sugar until desired sweetness. 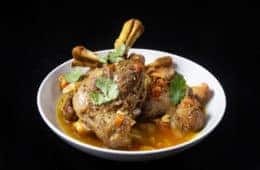 Give it a few quick stir and the compote will thicken as it cools. If I can this & seal it in mason jars would it last longer then the suggested use by time frame? Canning the strawberry compote will make it last a lot longer. Will this work for mangos? It should work for mangos as well. 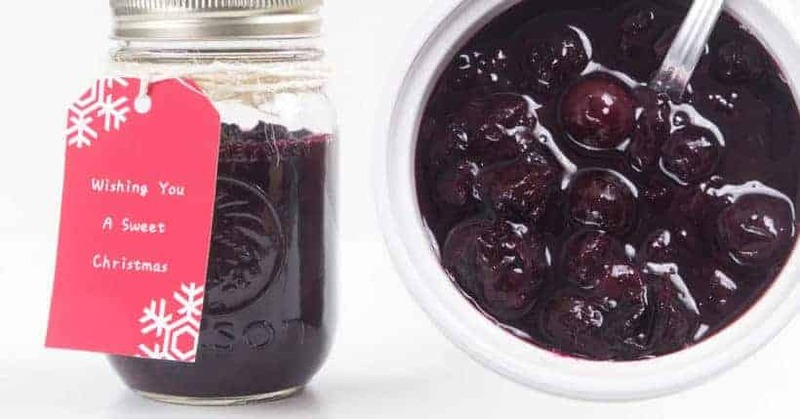 HI, would I be able to substitute blackberries? Or do you think there would be too many seeds? You will probably want to blend the blackberries compote after and then run the compote through a sieve. Strawberry compote can be frozen. I would recommend using it within 90 days. P.s. I bought the insta pot for myself for Christmas, I won’t open it til then but have been reading all your wonderful hints and recipes! 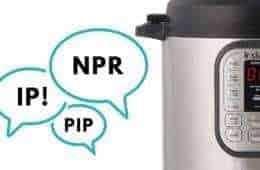 Congrats on your new Instant Pot. I will be looking forward to your creations after Christmas!